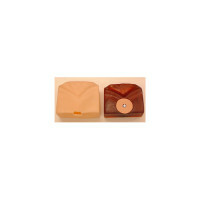 For demonstration and practice of defibrillation and CPR training. 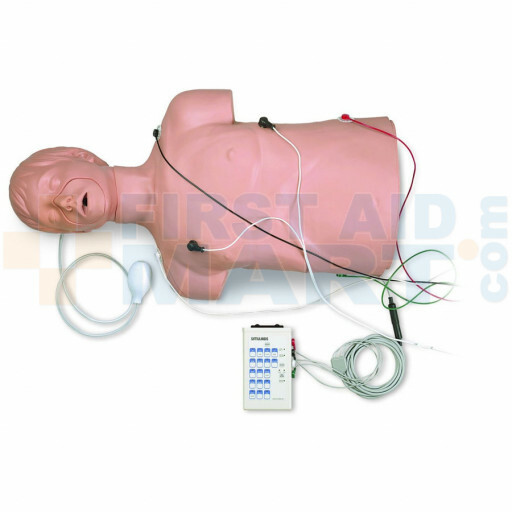 Functions with manual, semiautomatic, and automatic defibrillators. 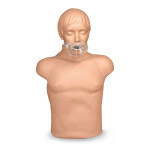 Complete CPR capabilities. The arrhythmia/pacing simulator recreates 17 adult heart rhythms and 17 pediatric rhythms. 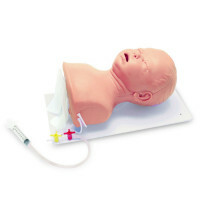 With an external pacer, you can simulate electronic capture. You can also simulate cardioversion with manual, semiautomatic, or automatic defibrillation. 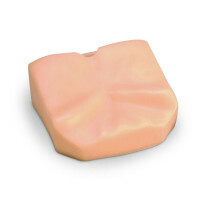 Comes complete with arrhythmia simulator (also sold separately as item 102), and soft carry bag. Generate realistic 3-lead or 4-lead ECG rhythms The RA, LA, and LL signal morphologies create accurate representations of the QRS, P, and Taxes. 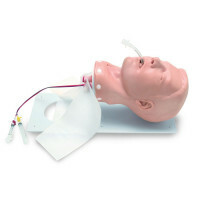 Defibrillation / CPR Training Manikin by Simulaids w/ Carry Bag - 100.